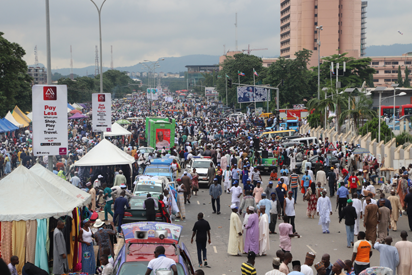 The “emergency” restaurants and beer parlours were mostly on Shehu Shaagari Way where Eagle Square venue of the convention is located, and adjoining roads between Ministry of Finance and Federal Secretariat. Some of the restaurant operators, who spoke said patronage was high in spite of the rain. “You can see that I have to cook more food even in the rain to cope with the demand; so far, I thank God,” Mrs Jenifer Ibe, one of the operators, said. The customers said that they needed to warm their bodies with drinks and hot food because of the cold weather caused by the rain which fell most the day and made the convention proceed in it.